From Android to Windows Phone? How would the One look with Windows Phone instead of Android? OnePlus is making moves, this week securing a partnership with JBL - and Microsoft migt be next. The maker of the OnePlus One, which made waves this year with its great specs and low price, is apparently in talks with Microsoft to make Windows Phone handsets. That's what the company told India's Economic Times, at least. "We have had discussions with Microsoft over a Windows Phone smartphone. 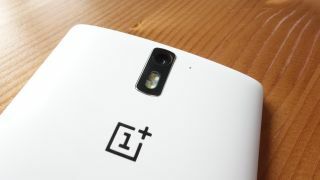 We are still looking into it," OnePlus Global Director Carl Pei said. The Economic Times article focused on OnePlus's impending entry into India, the Windows Phone tidbit warranting barely more than a footnote. But this is good news for WP fans who may be unsatisfied with the existing handsets available to them. And for new users, well, now may be the time to buy a Windows Phone.